The NGN organises a number of events for its members throughout the year. At Technical Events, you can find out about the latest power system developments and network with your peers; at the bi-monthly Steering Committee meetings members organise the NGN; while the Annual General Meeting (AGM) combines these two and gives an opportunity for the members to direct the NGN’s future. Our previous events can be found below. As well as the Paris Session, CIGRE hosts a number of events that NGN members can attend. Please also check the UK National Committee events page for other events that may be of interest to NGN members. 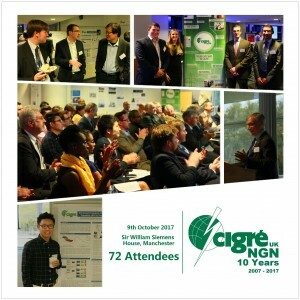 If you have an idea for an NGN event, or would like to host one, please let us know by emailing events@cigre-uk-ngn.org. 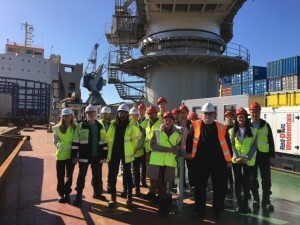 On Thursday 3rd May 2018 a group of 14 Cigre-UK NGN members travelled to the Netherlands for a unique opportunity to visit Boskalis’ Giant 7 cable barge. The day started with technical presentations at Boskalis’ offices in Vlissingen where attendees were able to learn about subsea cable installation and repairs, and the interesting challenges faced. 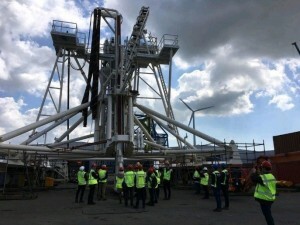 This was followed by an introduction to some of Boskalis’ past and present projects as well as a visit to their storage site at Vlissingen port where there was the opportunity to see the newly-built BS-III trenching tool . In the afternoon, the group travelled to Rotterdam where the Giant 7 barge was docked. The barge was being made ready for service and this allowed a great opportunity to explore and to understand the amount of work that goes in behind the scenes before the cable and trenching tool can be brought on board. We would like to thank all of our attendees for their enthusiasm and questions throughout the day, and of course the team at Boskalis for their hospitality and especially for letting us stay on board for an extra couple of hours due to the interest and number of questions! Special mention goes to Hans Veth and Jack Wattel at Boskalis and to Tony Zymelka from ESCA (European Subsea Cables Association)/BBP Cables for their support in the organisation of this unique and fantastic event. Following this success, we hope to add another cable ship visit to our 2019 events calendar so watch out for information on this soon! On Tuesday 20th February the Young Member (YM) Showcase competition was held at Manchester University to select 4 candidates to be put forward to the international round of the competition. The day consisted of 10 short-listed presentations which where judged by Carl Baker, Qiang Liu, Suipipi Weerasinghe, Simon Sutton and Aruna Gunatilake. The lucky winners will now be put forward as the UK nominations to the international YM showcase for an opportunity to present at the CIGRE Paris session 2019. Up to 32 Young Members from across the world (2 per study committee) will be chosen for this prestigious prize. After the presentation tours of The National Graphine Centre, HV lab and RTDS lab were organised. 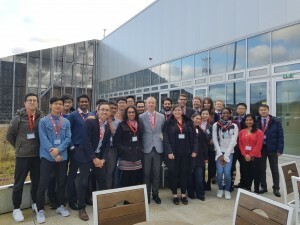 The NGN committee would like to thank Manchester University for hosting this event, and for the judges who gave up their own time to attend the event. To join CIGRE-UK NGN click here. *Note: the final decision over whether a presenter can have a slot at the Paris Session will remain with the respective Study Committee chairman. In October 2017 we celebrated 10 years since CIGRE’s first Next Generation Network was set up here in the UK. The event is kindly hosted by Siemens UK in Manchester and successfully attracted 74 attendees. The opening speech was given by Philippe Adam, the CIGRE Secretary General. Adam Middleton, the Chair of CIGRE UK, and Jonathan Halliday, the founder of CIGRE UK NGN, gave talks to share their experience in CIGRE. The event also highlighted by the outlook for the future power system digitization technologies and wrapped up with the networking and poster session, which allow the young members to present their works. 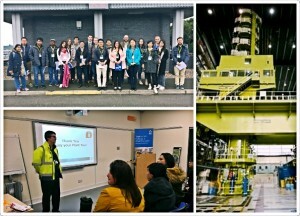 On 28 June 2017, the CIGRE UK NGN had a successful event at the Hunterston B Power Station. Our guest speakers Colin Foote and Alan Davenport from Scottish Power Energy Network (SPEN) gave very interesting talks on the developments in SPEN network and specifically the Western Link project. The event also included a technical tour to the plant, which gave the attendees an excellent opportunity to see and know more about how the plant is operated and maintained. The event was fully booked with 28 young professionals from utilities, consultancy companies and research institutes. To join the NGN please fill out the application form at this link and to join CIGRE-UK (as a non-NGN member) please go to this link.